NO TO BULLFIGHTING IN MARBELLA! According to local press, the bloody, torturous sport of bullfighting could return to Marbella despite being banned three years ago. The town hall has announced it is setting aside just over €1 million for the refurbishment of the Plaza de Toros with the goal of "making it safe, practicable and operational for its intended use". The project has been put out to tender, with companies having until December 30, 2018 to declare their interest. Please sign this petition to stop the plans of bringing this unfashionable and very shameful blood sport back to Marbella. The rest of the EU is already viewing Spain as a country with an old-fashioned and very violent culture when it comes to animal rights. People in the whole world are more and more taking a stand, deciding not to travel to Spain because of this. These plans would make it even worse. 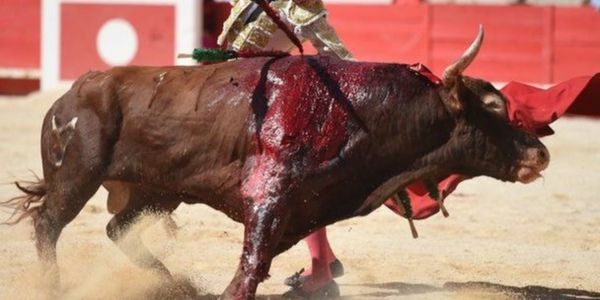 Torturing these beautiful, proud animals is certainly not worth 1 million euro and bringing back bullfighting to Marbella would not only be a huge step back regarding animal rights. It would also be a very disgraceful, violent and non-equal contribution to our world. We don't want bullfighting or any other blood sports in beautiful Marbella. It's finally gone and we don't want it back.